If Gonski is the answer what is the question again? March 27, 2013 10:05 AM / 14 Comments on If Gonski is the answer what is the question again? The Gonski agenda is core business to rebuild Gillard’s personal profile. During the next month she has the chance to alter the atmospherics with the Easter break, an official visit to China and the Gonski deal. There is one certainty — a Gillard media onslaught next month focused on her ability to deliver. If she cannot do a street walk she can still attend plenty of schools. 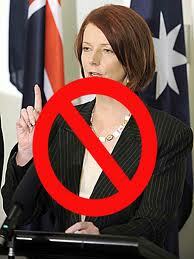 Gillard’s remarks yesterday betrayed her huge reliance on the Gonski agenda to salvage her fortunes. She comes with buckets of hope and swinging a big stick. Gillard told the premiers they must “stop the cutbacks” on school funds, demanded they apply an annual indexation factor for schools of at least 3 per cent, tied Gonski to her Asian Century plan of expanded opportunity and repeated her aim that Australia by 2025 penetrate the top five school systems in the world. Beware of the pork when it is promised for delivery after September 14 and take with a very large grain of salt any promises made in the next budget because the underlying assumption inherent in any Labor promises no matter how grand or generous, that they will be around to deliver on them is not to be believed by anyone with this in mind I am rather cynical about the so called Gonski reforms. In particular I object to the drivel preached in the TV adds sponsored by the teachers union that suggest that if only more money is spent on special attention for those children struggling with literacy then they will “get it” and magically become successful at their studies. To my mind its just a total denial of the reality that not every child can be a great scholar. No amount of money and special coaching will change that simple fact. 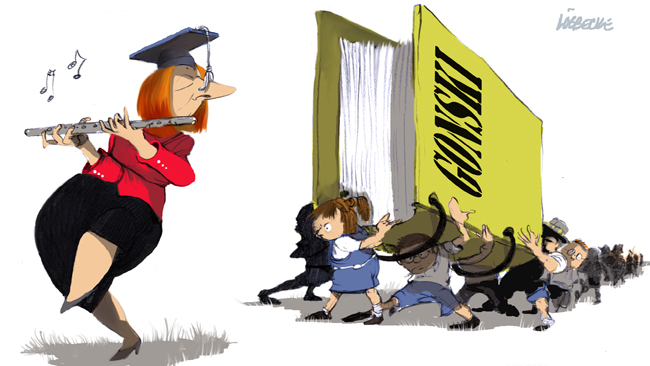 Its obvious to me that what Gillard is trying to do is butter up the parents of those underachieving students with the false hope that Labor can buy their children academic adequacy. Add to that the inherent politics of envy that sees so many socialists resenting the fact that many parents choose to send their children and that those parents are just as entitled as the poorest of the poor to expect some government contribution towards the education of their children. It all adds up to a flurry of half truths and false hopes of academic excellence from all sides of the political spectrum. Why False hopes you may ask? Well no matter how much we help the prospects of those who are “lagging”, no matter how much we try to leave none behind there will still be a world out there where every member of the next generation will have to compete with for their place in the economic machine. No amount of delusional dodo race thinking, so beloved of the left, is going to help the children of today compete in the economy of tomorrow. All that will be achieved at a social level by spending ever more on educating our young people will be an ever expanding education industry and the goal posts for entry into every job or profession moving ever further away.